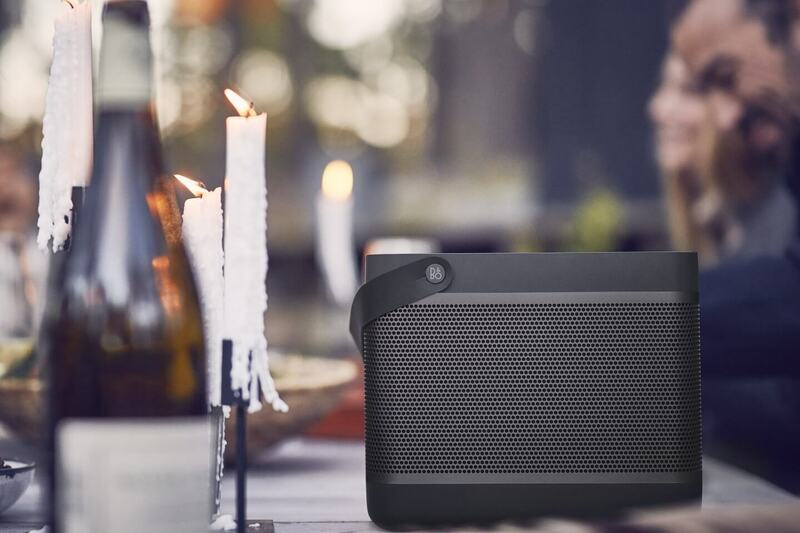 Compact, simple and portable Bluetooth speaker that delivers on power, clarity and style. The only music system you will need around the house. What's different from BeoLit 15? 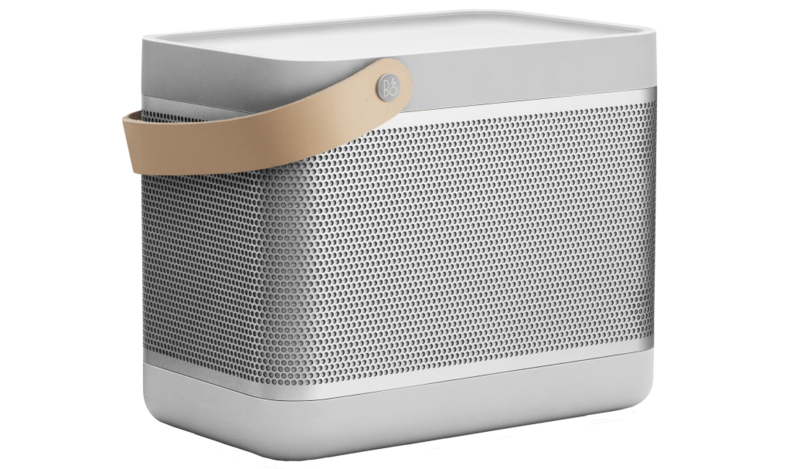 The new model has been redesigned to pack an even bigger musical punch and with new intelligent features via Beoplay App. 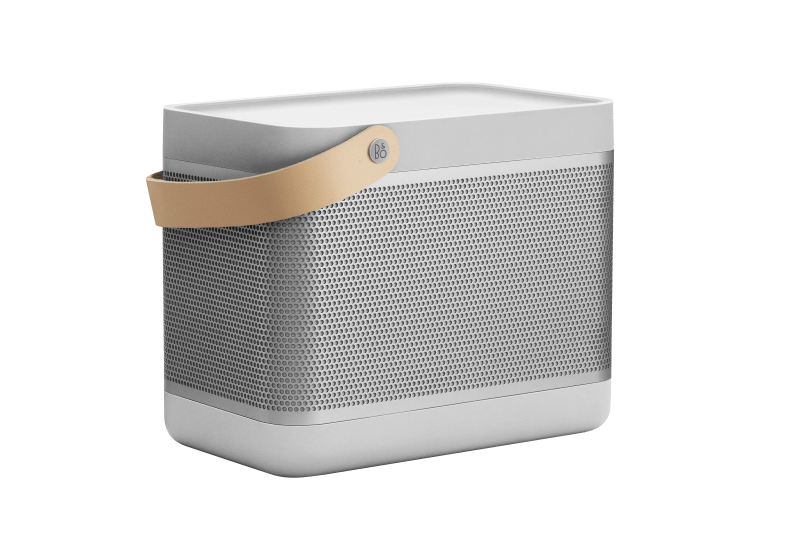 This includes the alarm function and the selection of the preferred sound setting via the Beoplay App. 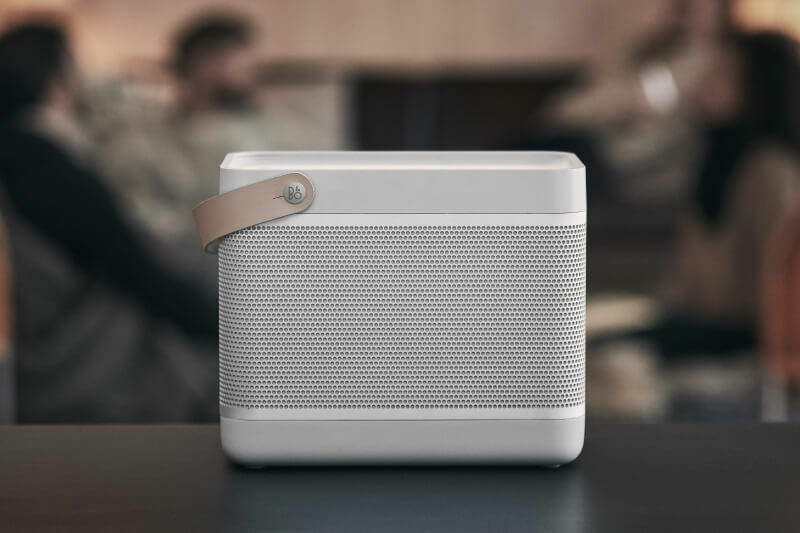 Connect-Button activates intelligent features via BeoPlay App. 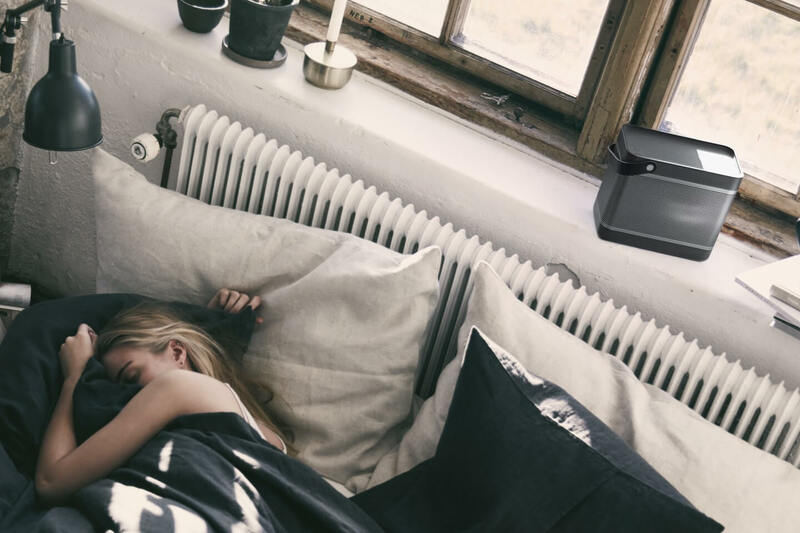 Wake up to your favourite tunes, launch your play list or customize your music with a one-touch connect button via Beoplay App. With Beolit 17, keeping your music going just got easier. A smart 45W charger maximizes charging speed for your Beolit 17 as well as any other USB-C charging devices you use it with. 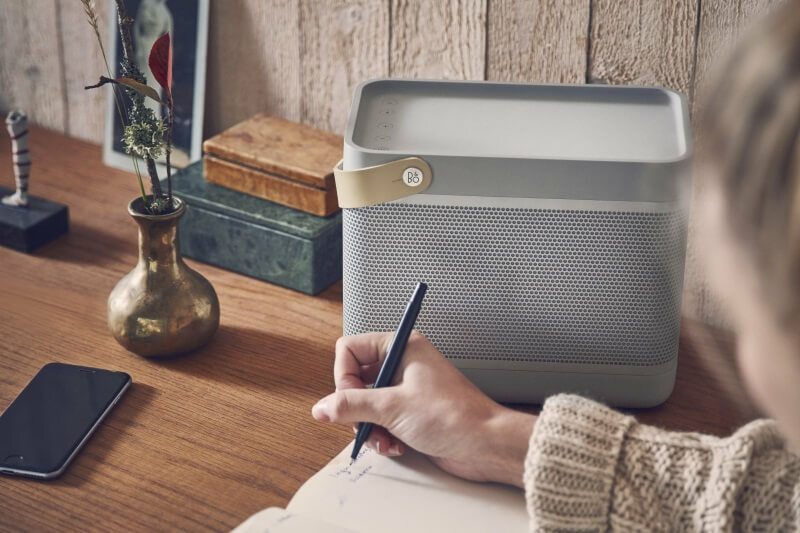 A clever redesign eliminating the old cable compartment has enhanced Beolit 17’s sound performance. 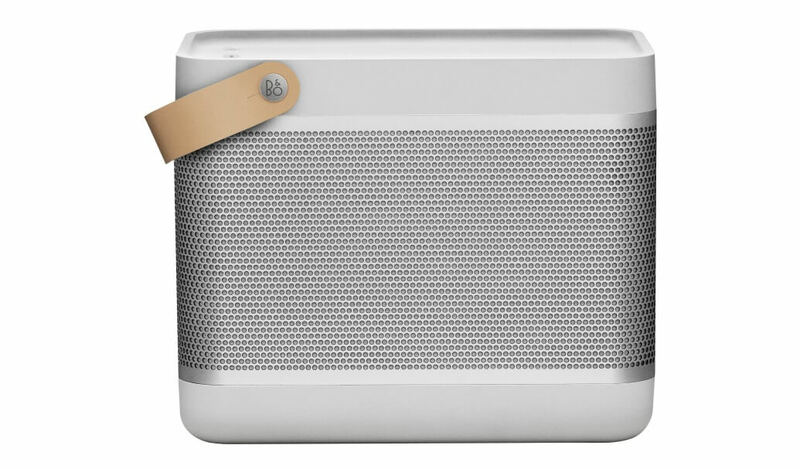 Alarm: You can set an alarm in Beoplay App that will wake you up with one of two B&O PLAY alarm tunes or the last played song on your smartphone. Press once to snooze and twice to deactivate the alarm. Connect: For easy access to music, you can use the connect feature to instantly play the last played song on Spotify. Remote: A simple feature that will play or pause the music by pressing the connect button once. Double press will skip to the next track. 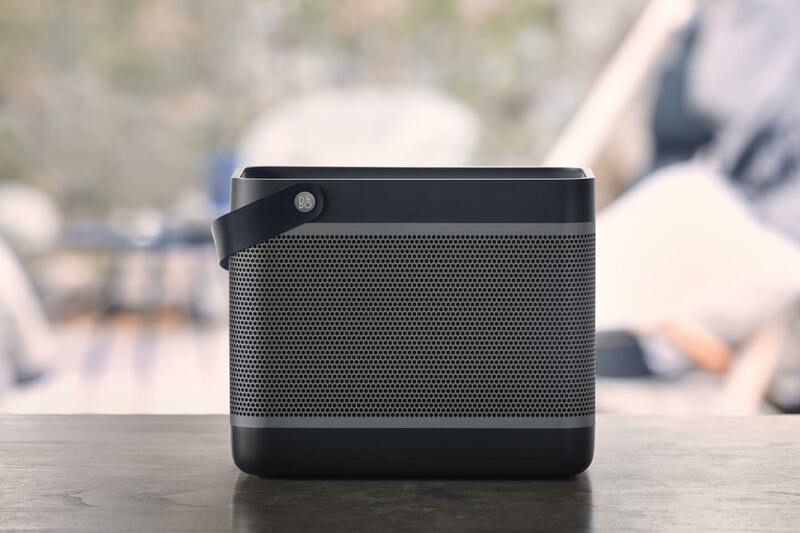 ToneTouch: Beolit 17 also works with Beoplay App features such as ToneTouch that gives playful, intuitive, and easy personalisation to your music experience. Simply feel your way through different tonality and staging settings to find the sound that suits you. Beolit 17 features the True360 omnidirectional sound, which lets everyone enjoy equally good sound no matter where they are placed. And with 240 watts of peak power, the speaker is so powerful there is enough sound to fill even larger rooms. 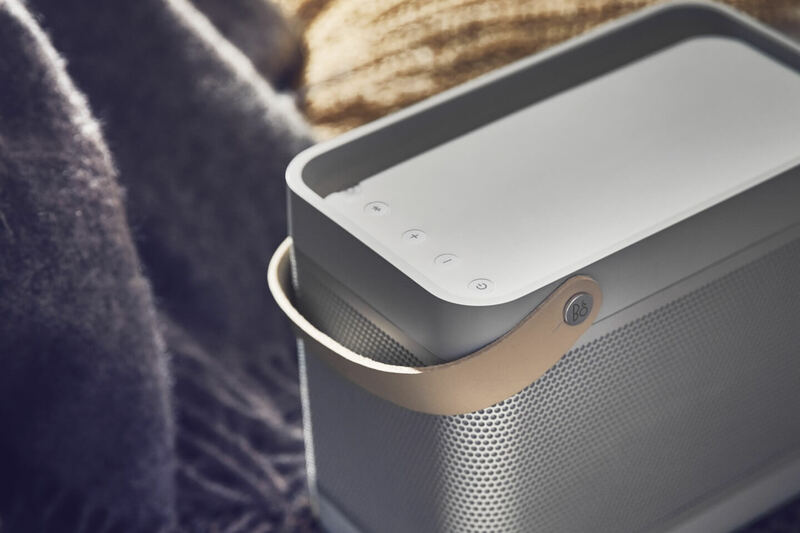 Bang & Olufsen Signature Sound ensures you hear the music the way the artists intended it – authentic, clean and with a passion that reveals all the beautiful details. Premium materials made to last. 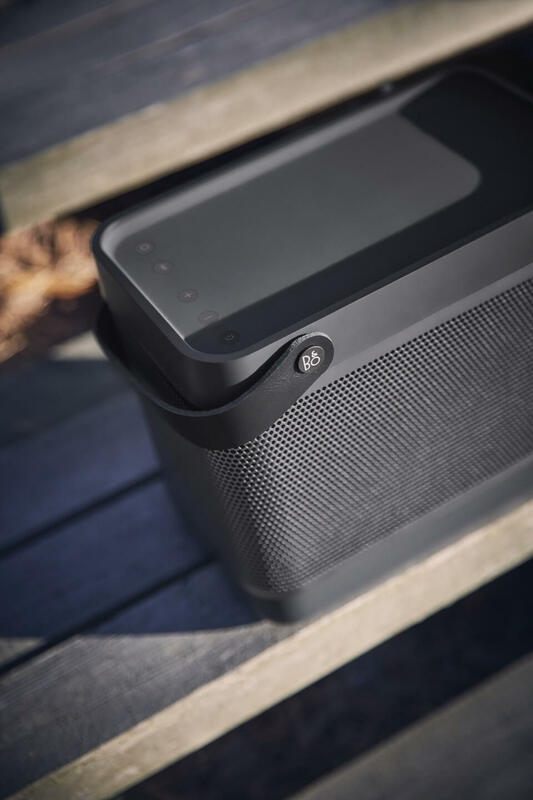 The craftsmanship of Beolit 17 is second to none – anodised aluminium is paired with strong and durable polymer, a tray on top of the speaker for your mobile devices and a full grain leather handle. 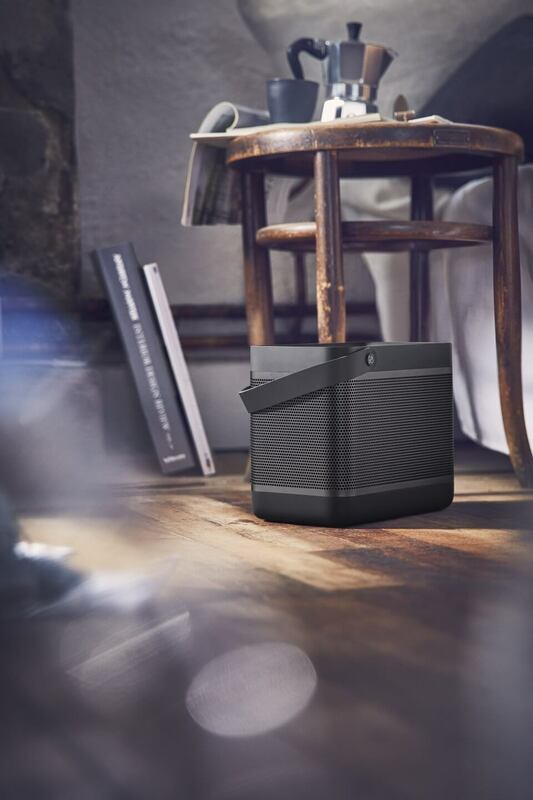 Beolit 17 is designed to fit every home – and any type of room. The full grain leather handle lets you easily carry Beolit 17 around the house. The Adaptive Power Management technology ensures you get up to 24 hours of continuous play time from a single battery charge – enough to keep going all day and night. A smart 45W charger maximizes charging speed for your Beolit 17 as well as any other USB-C charging devices you use it with. 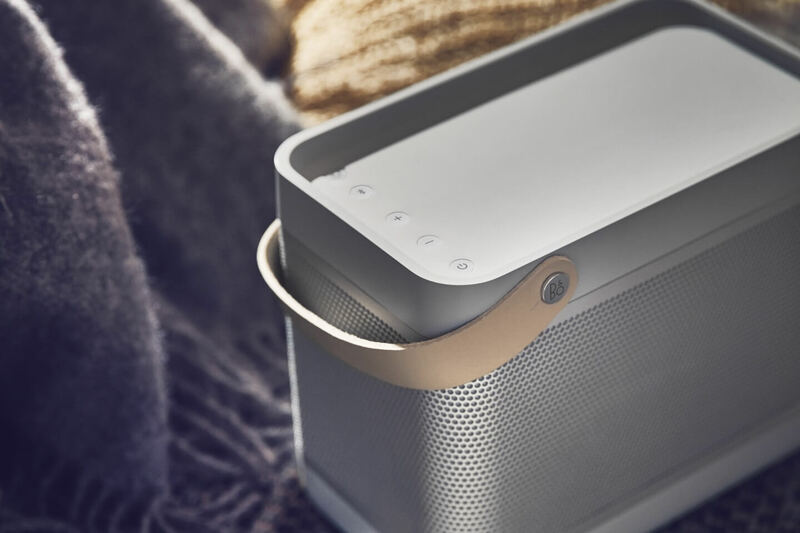 A clever redesign eliminating the old cable compartment has enhanced Beolit 17’s sound performance. Redesign makes room for more power. 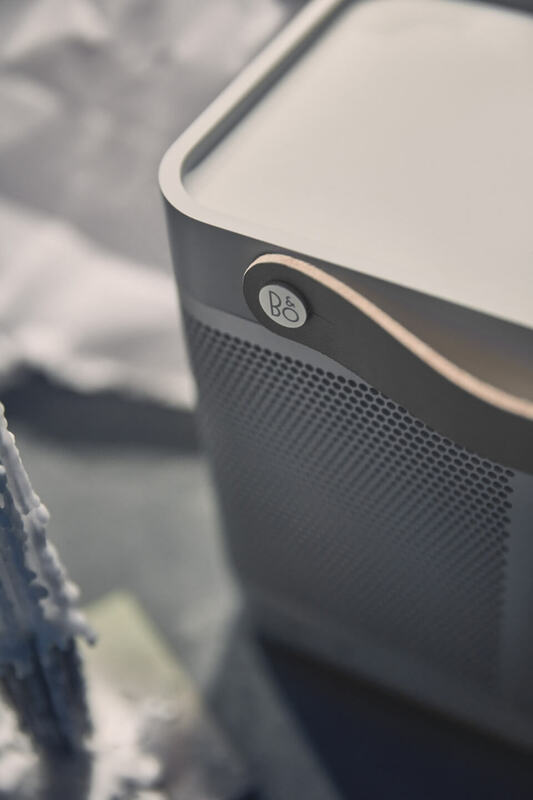 Beolit 17 is the most powerful Beolit speaker to date due to a clever redesign of the speaker grill, which eliminates the cable compartment. 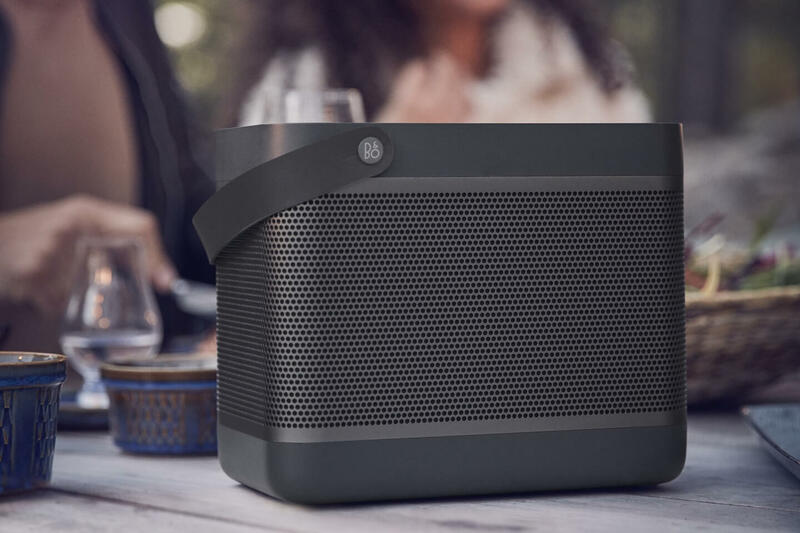 This makes room for an enhanced sound performance delivering 240 watts of peak power that fills even large rooms with goosebump inducing Bang & Olufsen Signature Sound. Beolit 17 - The only music system you will need around the house. Don't miss a manufacturer's campaign or other advertisings where the price is reduced for a limited time. We will inform you automatically if your desired price for BeoLit17 is reached or we have another suitable offer for you.